A power boat accident that occurred here in Florida on November 9th has officials baffled: Although powerboating can inherently be an exceptionally-dangerous sport because the boats can travel in excess of 100 miles per hour, in this case, the boaters weren’t traveling fast when the boat capsized for no known reason, leading to the death of powerboat racer Joseph Sgro. Sgro was the president of Outerlimits Powerboats Inc., indicating that he well understood how to operate the vehicle. In fact, he had racked up more than a dozen national and world titles in the boating sport. Others that were on the boat were thrown from it and are now being treated for broken bones and water in the lungs, as the boat became partially submerged when it turned. Some are now wondering if perhaps something could have been wrong with the boat itself. Are Powerboats Just Too Dangerous? Powerboaters are usually taken out 180 or so miles from Miami to Key West. In this case, Sgro and others were traveling west in the Gulf—just north of Marathon—when the accident occurred. Arguably, these boats appear to have the ability to cause significant personal injury by virtue of the force that they can hit another boat or other object due to their small size and how fast they can go. Unfortunately, this isn’t the first we’ve heard of boating accidents involving them: Just last year, this accident caught headlines when a wooden boat on Lake George when it was hit by a powerboat. Because these boats can go so fast, it ran into the larger wooden boat and lifted out of the air, hitting the two passengers in the air, a mother and daughter, leading the powerboat driver to be indicted on criminally negligent homicide and manslaughter, amongst others. And in 2015, three years after powerboat racer Joey Gratton was killed during a boating championship, the wrongful death lawsuit filed by his widow against Super Boat International was settled in Broward Circuit Court. Similar to what happened in this case, Gratton’s boat overturned during the final race, trapping him upside down via his safety harness, and drowning him before rescuers could help. Gratton was not alone: During the 2011 championships, two other powerboat racers were also killed, drowning when their boats flipped down in Key West. These stories inevitably make one wonder: Do these accidents involve something more than simply “assuming the risks” of a dangerous sport? 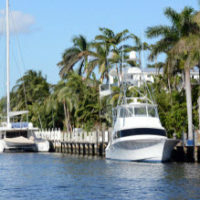 The team at Friedland & Associates has helped many boating accident victims obtain the compensation that they need when they are injured or killed on the water due to another person’s negligence, including any negligence that occurred in the manufacturing, distributing, and/or supplying of products that hurt people because they have been dangerously made. Contact us today to find out more.